We invite you to contact us today to discuss your eye care. Please don’t hesitate to call us at (425) 771-8226. Here at Sherman Optical, we understand how confusing it is to choose the correct eye wear so we are here to help you. Click here to read what others are saying about Sherman Optical. 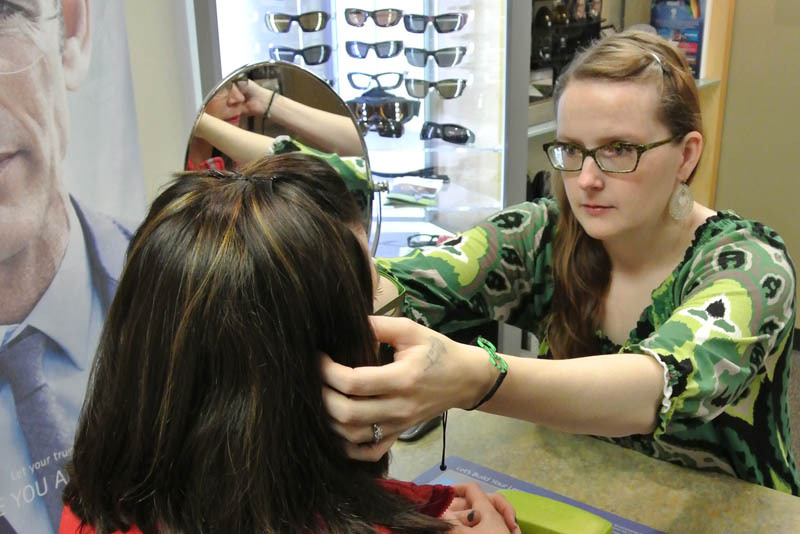 Our service keeps our customers coming back for their eyeglasses and eyeglass repairs. We have been serving the Puget Sound since John Scheuerman opened for business in 1939, and we find that once our customers have been fitted for eyeglass frames in our store, they are our customers for life. We are one of the few local companies who can repair your eyeglasses right in our offices. This means not only will you get your glasses back faster, but we can also make any adjustments needed when you come to pick them up. I can't say enough good things about Sherman Optical. I got the cutest vintage-style frames and the sales associate, Tiffany, was so helpful. I have recommended you to all my friends and family and I get lots of compliments on my frames!! Thank you so much. I've been going to see Fred since 1978, when I broke a lens. Not only did he have the same frame, he was able to fix everything in about 2 hours. I wouldn't go anywhere else. I will miss Fred, but Mike will take care of you as well as Fred did. I, for one, am glad the business is staying in the family. We know you want to look good in the eyewear that you choose, and we can help you do that. However, because we have licensed opticians on staff, we can also make sure that your glasses enhance your vision properly and benefit your overall eye health.